KanOkla’s challenge was to replace aging equipment that reached capacity in some markets. With their customers requiring more data, KanOkla needed a solution to deliver similar coverage and superior capacity. KanOkla selected Mercury Quantum 6600 base stations in the semi-licensed 3.65GHz band. 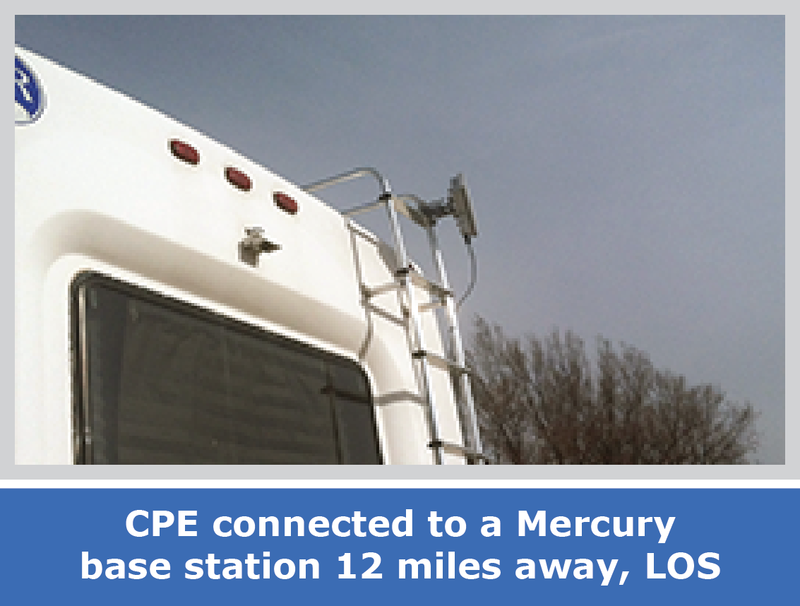 With Mercury Quantum base stations and the 3.65GHz band, KanOkla was able to deliver triple the capacity of their old equipment, while seeing links as long as 12 miles. 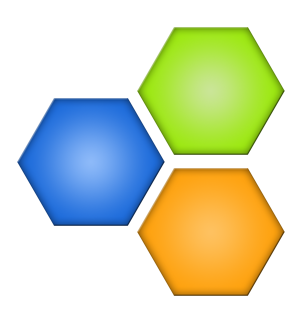 The company is able to offer data packages of up to 3Mbps and will offer up to 6Mbps when the upgrade project is complete. KanOkla selected Mercury’s 3.65GHz Mobile WiMAX solution based on award winning Mercury Quantum base stations. Currently, the networks 1300 subscribers are offered data packages of up to 3Mbps, but upon completion of the Mercury deployment will be able to double the top package to 6Mbps. 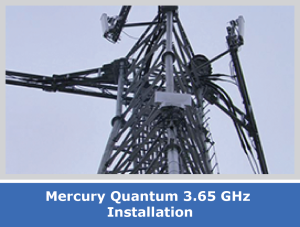 Mercury Quantum base stations make use of up to 6 antenna operating in concert to deliver superior performance even in non-line-of-sight conditions, a critical capability especially on the uplink, which is subject to the FCC power limitations. KanOkla deployed three Mercury Quantum sectors per site, which was able to match the coverage of their old 700MHz equipment, but capacity was tripled. Mercury Quantum base stations are FCC certified to operate in the entire 50MHz available in the 3.65GHz band, and can operate with or without an ASN-GW. KanOkla deployed the base stations in standalone mode, simplifying the deployment and reducing its cost. With 15 Mercury Quantum base station sectors already deployed, KanOkla will have approximately 30 operating in 10 counties when the project is complete. KanOkla is building a complete 3.65GHz overlay to its 700MHz network, tripling network capacity, and allowing the company to offer the competitive service packages their customers demand.